Several weeks ago I attended an ACEL (Australian Council of Education Leadership) conference. Dr Tim Watterson, who is the Director-General of Education and Training for Queensland, delivered the opening keynote. I confess that my initial ‘judging a book by its cover’ reaction was not particularly complimentary, and I did wonder how I, as a Kiwi Leader, might relate to an Aussie Director-General. I do however; stand to be corrected, because in actual fact, it was ok. It was more than ok it was actually very ok. There were two key takeouts for me, this post is about the first one. I was particularly taken with one of his opening comments, about how the quality of the noise in your classrooms, playground or staffroom is what gives away the quality of your school. Let that sink in for a moment, as it has for me over the last few weeks. THE QUALITY OF THE NOISE IN YOUR CLASSROOMS, PLAYGROUND, MEETINGS OR STAFFROOM IS WHAT GIVES AWAY THE QUALITY OF YOUR SCHOOL. I have always been a firm believer that you can ‘feel’ a school from the moment you walk into it. The same goes for any classroom or any staffroom. In a high functioning school here is a hum about the place, a sense of purpose and a welcoming atmosphere. There are many examples of when the ‘noise’ reflects a less than high quality school. Some of us have had the misfortune of walking into ‘that’ staffroom where seats are allocated to a particular person or group, and woes betide anyone who tries to sit there. Sometimes the conversations in the staffroom involve unprofessional discussions of students. You know they are unprofessional because they make you feel uneasy and uncomfortable, and you would never allow someone to speak that way about your own child. Or perhaps you have walked into a schools front reception office, only to be briskly dismissed by an unfriendly grimace, or been completely ignored while the people behind the counter continue with their own conversation. Perhaps you have sat in a meeting where people are disinterested, talking over each other being rude and disrespectful. Or maybe you have been in a classroom where the tensions are high and the feeling of disorganized chaos reigns supreme. The above examples are not indicators of a quality school but of one where the school culture needs some work. 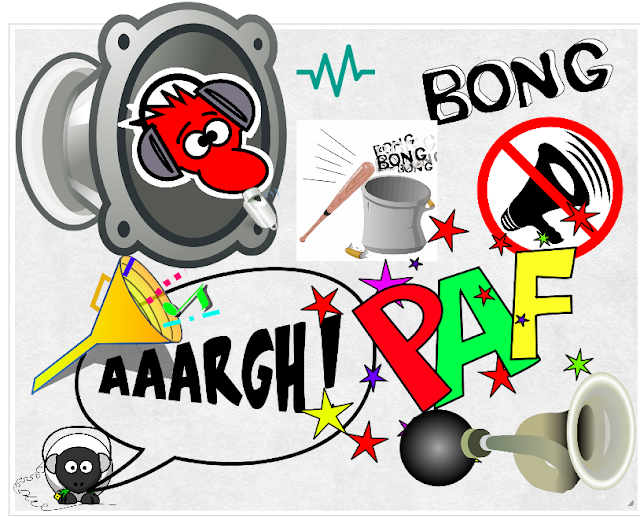 I have been reflecting on what our noise is at our place, and as a result I have pinned down some of the key things that I think indicate what a ‘quality noise’ might be. You can hear it in the day-to-day interactions, in the playground and during meetings. Teachers respect students and students respect other students and teachers. Parents are a valued resource not a pesky nuisance. You can hear questions being used all the time by teachers and learners. A sense of curiosity exists. Voice and agency is fostered for both students and teachers. Ideas and Wonderings are welcomed. People are allowed to challenge/question the status quo, and ideas like AMOS are welcomed and encouraged because the sum of all of us is better than the one. Students and teachers have ownership of what is happening in the school and you can tell because they can talk about what is important to them. Learning is not a one size fits all. Teachers are free to explore pedagogy and learning processes that respond to the needs of their classroom. Differentiation and personalization is encouraged and evident for both student and teacher learning. Teaching programmes are creative and not mandated. Leaders trust their teams to innovate and explore the best ways to support learner diversity in their classrooms, and do not micro manage this. Teaching as Inquiry is evident. Teachers are keen to inquire into what is happening in classrooms and you can hear teachers sharing best practice with colleagues. The notion of deprivatised practice is lived and there is a collective efficacy in place. Teachers know that what they do impacts on the next class, and it is not a matter of ‘my children’ but ‘our children’. Everyone is welcome and feels a part of the school. Cultural competencies are lived, and students and teachers feel a sense of belonging. Self-Review informs practice and decisions. People delve into what it is they do, and find out if it is working, and if not, why not, and where to next. Data, soft and hard, assists this process and the soft data is valued highly. Discussions around the school about evidence are used to check that what we say we are doing is what we are doing, and support growth and capacity building. These are just a few of the characteristics I have been reflecting on. I would like to say we are all these things all of the time, but I am not so confident. Sometimes I am sure we slip, and sometimes I am sure (in fact I know) we do not always get it right for everyone. The real treasure is found when you know, through your self review and feedback processes, that things need to be improved, and you put in place a plan to address any areas that are lacking. In case you are wondering, like I have, what the noise of your school is and if it is a true indication of the quality of your school, perhaps these questions might be of assistance. What language do you notice people using in meetings and in the staffroom? Is it strength based, positive and professional? What things do the professionals in the school talk about? How do your teachers share practice? Do teachers visit each others classroom? What are teachers inquiring into? Are relationships respectful? How do you know – what does the evidence look like? Do people feel welcomed at your place? How do you know? How do you use data and self review to improve? Which data do you value and how do you talk about it? Can students talk about their learning? Do they own their goals and do they know where they are going? What does student and teacher voice and agency look like at your place? Is there a culture of ongoing improvement and how do you know there is? How does leadership support teachers? This post really describes all the school and the environment of school. This is a true article and all the things discussed here are really true. I liked your article.